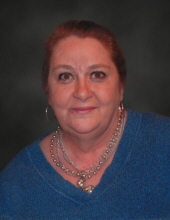 Margie Chastain, age 66 of Breckenridge, passed away Friday, March 1, 2019. Funeral services will be held at 2 p.m., Wednesday, March 6th at First United Methodist Church with Rev. Johnny Miller and Rev. Matt Hall officiating. Visitation will be held from 6 p.m. to 8 p.m., Tuesday, March 5th at Morehart Mortuary. Margie Kay Chastain was born January 9, 1953 in Pauls Valley, Oklahoma to Ray Singleton Chastain and Margaret Buckingham Chastain. She graduated from Graham High School in 1971 and then attended Texas Tech University. Margie married Cody Owen on August 18, 1973 in Pampa and had three children from their union. Margie was an Auto CAD draftsman, working alongside Cody at Cody Owen Surveying for many years and then later for Link Field Services and Mitchell Energy. She also taught piano lessons, coached youth soccer, enjoyed square dancing in her younger years, and later owned and operated Margie’s Kreations & Design. She was a member of Woman’s Forum and First United Methodist Church, where she played the piano for many years, led children’s music, and was the beloved nursery attendant. Margie was a devoted mom, grandmother, and faithful friend to many. She was an avid Buckaroo fan and didn’t mind withstanding unfavorable weather conditions or injuries to watch her kids and grandkids at their sporting events. Her grandchildren were the light of her life, and she was lovingly known as "Granny" to many. She was preceded in death by her parents. Margie is survived by her three children, April Lechner & husband Joe, December Owen, Dirk Owen & wife Ashlie, all of Breckenridge; longtime close friend, Brian Kight of Breckenridge; twelve grandchildren, Levi, Nathan & Christian Lechner, Zach, Malachi, Kylee & Maleya Willis, Shalyn, Ashlyn & Jaxon Owen, Colby & Emily Welch; one great grandchild, Isaiah Madison Willis. Memorials may be made to First United Methodist Church and may be left at Morehart Mortuary. Condolences may be made online at www.morehartmortuary.net. "Email Address" would like to share the life celebration of Margie Chastain. Click on the "link" to go to share a favorite memory or leave a condolence message for the family.